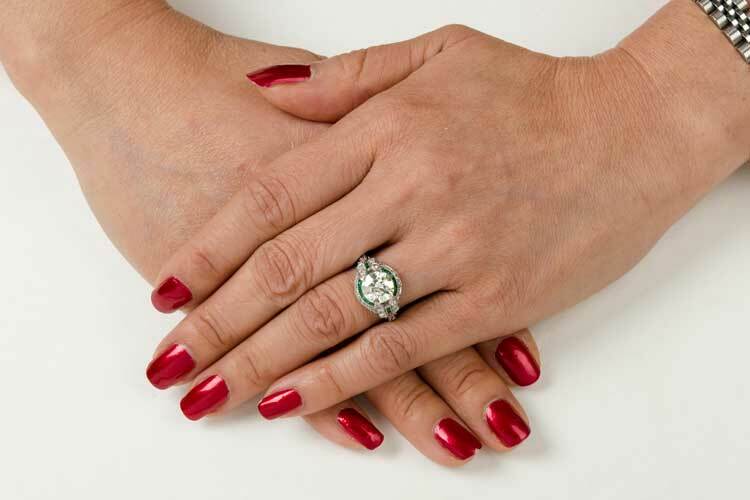 A beautiful and rare Art Deco Style Engagement Ring. 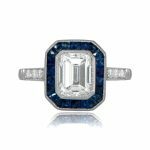 Handcrafted by expert jewelers, this stunning Art Deco Style Engagement Ring is set with an Antique Old European Cut diamond and adorned with diamonds and milgrain. 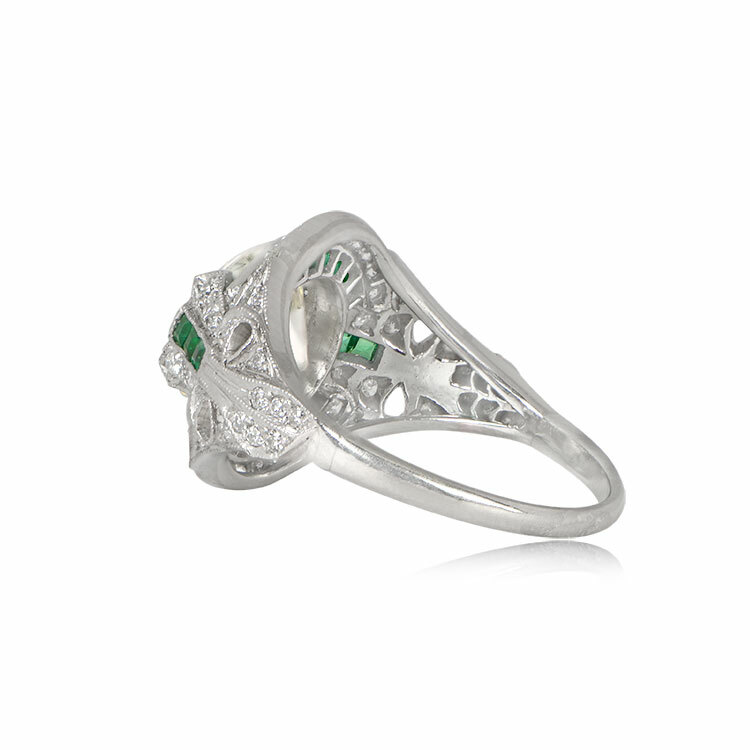 A halo of emeralds and bow motif filigree along the shoulders adds to the delicacy of this ring. 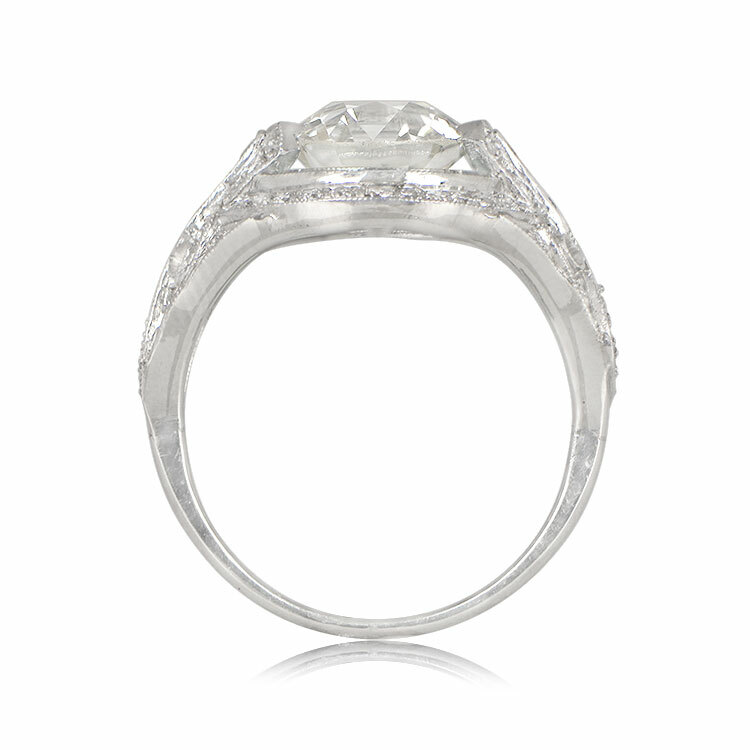 The center diamond is approximately 2.65ct, K color, and VS2 clarity. 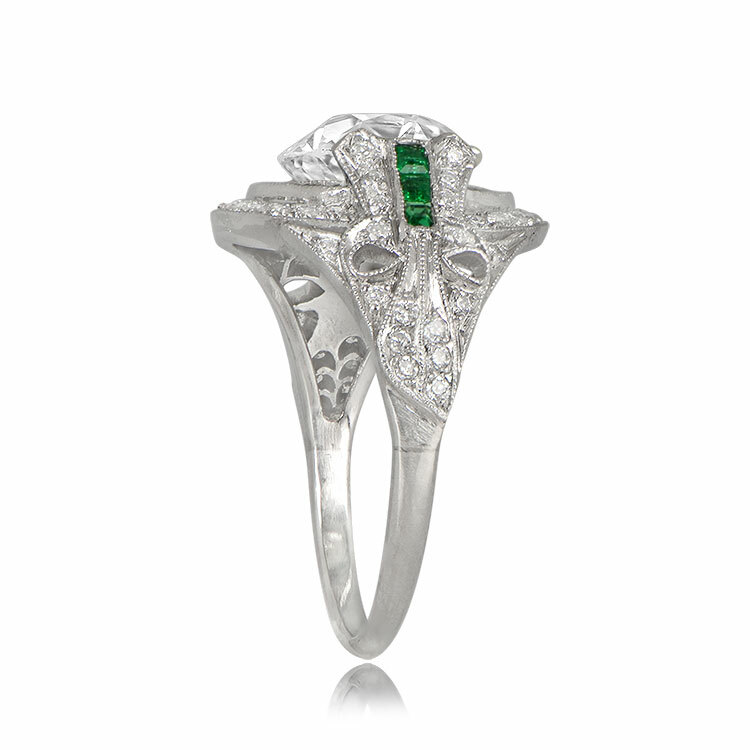 The measurements of the center diamond are approximately 8.60mm x 8.57mm x 5.83mm. 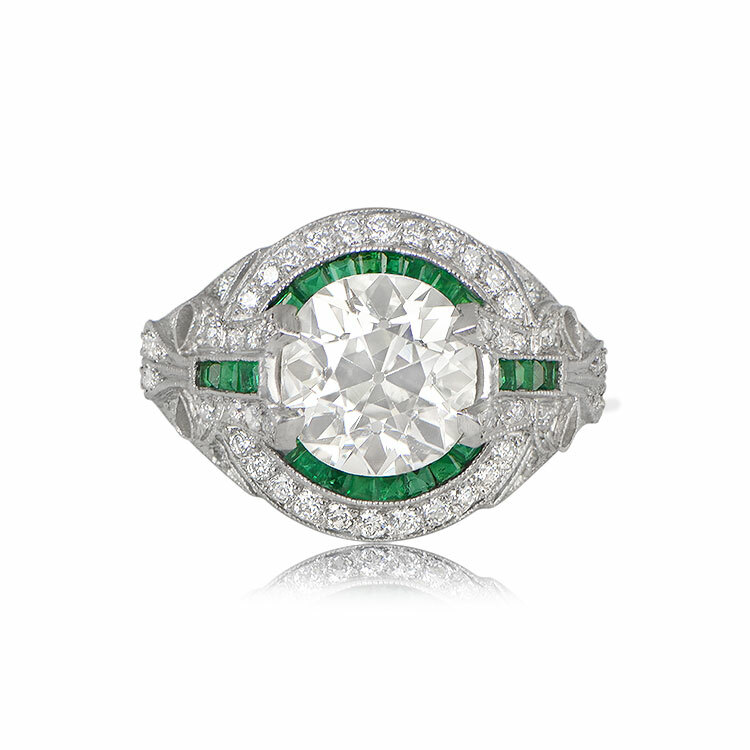 The diamond was cut during the Art Deco Era, circa 1925. 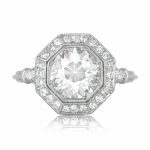 SKU: 12095 Categories: Old European Engagement Rings, Vintage Engagement Rings - Contact us and request additional pictures.